Kasper: "Located just off Dam Square and close to the famous red lights district, The Book Exchange is undoubtedly Amsterdam’s best second-hand store for English books. The owner has packed his small grachtenpand (‘canal residence’) with a widely varied range of English titles: up front there is an excellent (if rather pricey) selection of hard back novels, as well as a considerable collection of poetry and literary criticism. 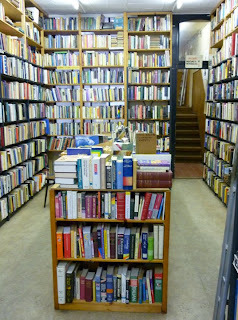 The fiction section continues in the back, where the walls are lined with affordable paperbacks of all sorts. Below there are some more specialized sections, including many psychology books, some biographies, travel books, and lots of fantasy stuff. Apparently as a side-thought, some French and German books are on offer as well. Add to this the welcoming owner, some intriguing literary photographs behind the cash desk (including one of Henry Miller), and it is clear that there’s no better place to go in Amsterdam to buy English used books – or to sell your own. And last but not least: as of today (January 2012), The Book Exchange also has the best selection of Bob Dylan books you will find in a long while – sold in one batch by one of his biggest fans…"
We have to say that our first reaction after reading this recommendation was huge disappointment - disappointment for having missed this bookstore during our visit of Amsterdam. 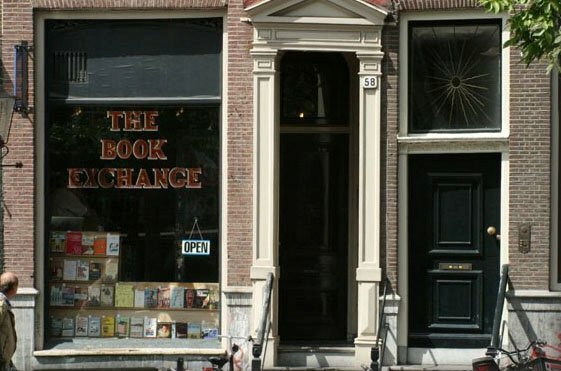 The Book Exchange has been in business since 1978, which is even more impressive and inspiring since, as the website states, it's a one-man business. Although its history counts more than three decades, it not only has a website but also a lively Facebook page where the owner posts recommendations from his stock on daily basis. 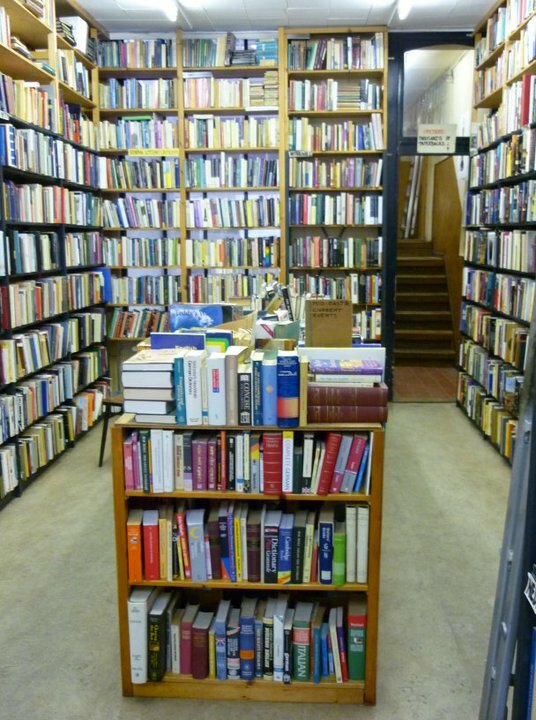 Thousands of books are neatly arranged into categories and you can even check the the different sections of the bookstore on their website along with photos. Considering the number of books on stock and the fact that they're spread over three floors, the level of organization and the neatness of the interior are really amazing. All in all, it's a place we definitely want to see when we get a chance to be in Amsterdam again.